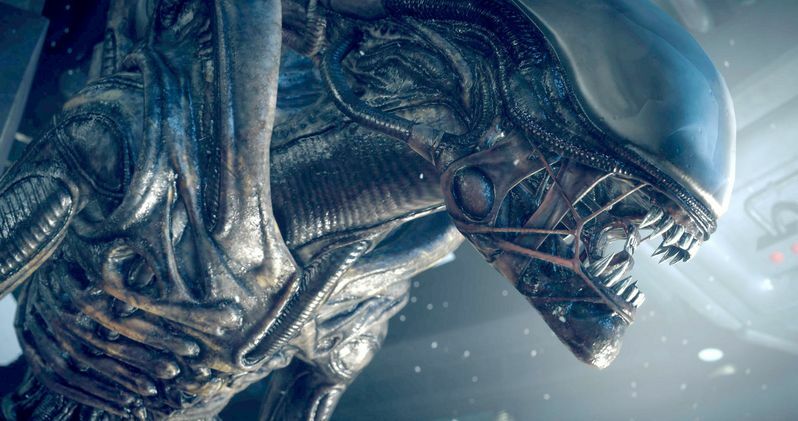 Those disappointed that Prometheus didn't feature the original Xenomorphs from the classic sci-fi horror thriller Alien aren't going to be any happier with the upcoming sequel Prometheus 2. Director Ridley Scott has officially stated that the legendary monsters won't be making in appearance in his follow-up. "The beast is done. Cooked. I got lucky meeting H.R. Giger all those years ago. It's very hard to repeat that. I just happen to be the one who forced it through because they said it's obscene. They didn't want to do it and I said, 'I want to do it, it's fantastic'. But after four (he has conveniently forgotten the 'AvP' movies), I think it wears out a little bit. There's only so much snarling you can do. I think you've got to come back with something more interesting. And I think we've found the next step. I thought the Engineers were quite a good start." "Right now, as we speak, it's being written. I've had 15 drafts evolving. I definitely want to do that again because I really enjoyed doing Prometheus." "You'll probably have to go with [Noomi Rapace's Elizabeth Shaw] and [Michael Fassbender's android David] - without his head. Find out how he gets his head back on!" Ridley Scott also has the anticipated sequel Blade Runner 2 in the works, and reveals that he met with star Harrison Ford the night before his well-publicized accident on the set of Star Wars: Episode VII. "We met the night before he had the accident. So I hope I had nothing to do with it." Ridley Scott has been meeting with the actor while he continues shooting in London, claiming that the Blade Runner 2 screenplay is written and ready to go. "It's on the charts. I can't say when that would be yet, because of [Harrison Ford's] thing with Star Wars. It's a sequel - it's what happens next. It's quite surprisingly clever." Exodus: Gods and Kings will be in theaters this December, with Ridley Scott gearing up to shoot The Martian next. Perhaps star of that movie Matt Damon, who is stranded on Mars, will have a run-in with the original Alien...But we doubt it.